Think of keyword research not simply as a mix & match approach for the search engine algorithm, but more as an opportunity to really get to know your audience. It is a chance to find out what they would genuinely like to know about your services and products. Whenever we start a new keywords research at yellowHEAD, we try to create a persona and understand who is asking the questions? Which target audience are we applying this research to? Main (Money) Keywords – Keywords that apply directly to a specific service or product most relevant to your brand. These keywords would be the core foundations on which your overall SEO strategy will be laid upon. Informational Keywords – How to, what is, where to… you get the idea. These are not conversion-oriented, but you can use these search terms to build the site’s authority through education on relevant subjects. Long tail Keywords (4+ word phrases) – I absolutely love long tail keywords! Why? With the growing implementation of voice search, long tail keywords will take up a larger part of overall search queries. And, the thing with long tail keywords is that they often convert better. According to a study by Moz, it turns out that over 80% of all searches are actually long tail queries. So, make sure you take this into considering as an integral part of a well-balanced SEO content strategy. Brand-Compatible Keywords – After conducting the preliminary research, you should have a pretty good idea about which keywords have good potential from an SEO perspective. However, those might not be compatible with your branding strategy or services. Level of Competition – The level of competition varies a lot from keyword to keyword, taking into consideration factors like competitor domain authority and monthly search volume. Short-Term vs. Long-Term – When looking at your website versus the competition’s, how well do you match up? Going for long tail keywords in the short term would bring you faster results and allow you to build a base of revenue with which to target the more competitive keywords down the road. According to a study conducted by Ahref, “only 22% of pages that currently rank in the Top10 were created within 1 year”. 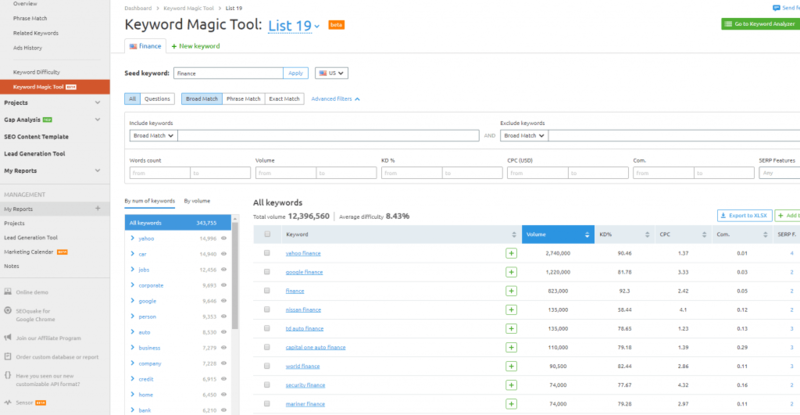 Use SEMrush Keyword Magic Tool to discover a wide range of strong combinations. 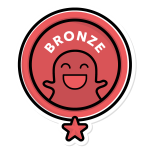 This is by far my favorite tool for keyword research. It creates a powerful list of combinations along with the search volume of each keyword you enter. That’s why we then use Google Keyword Planner. 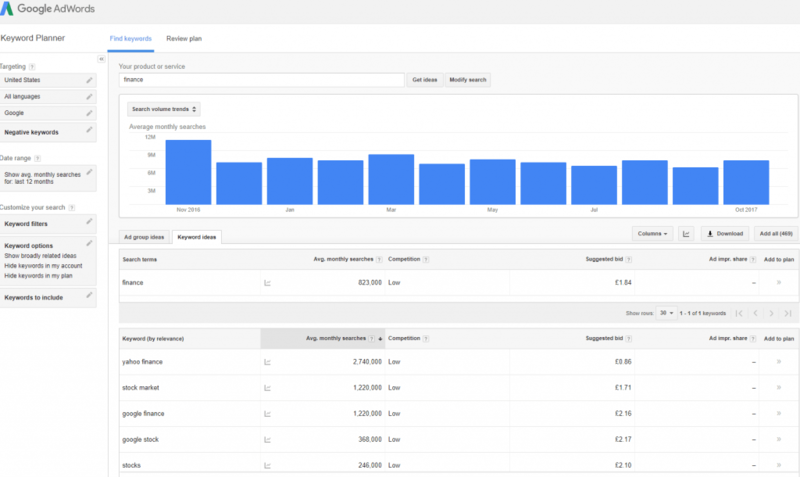 Match search volumes to Google Keyword Planner to make sure you have the most accurate data. 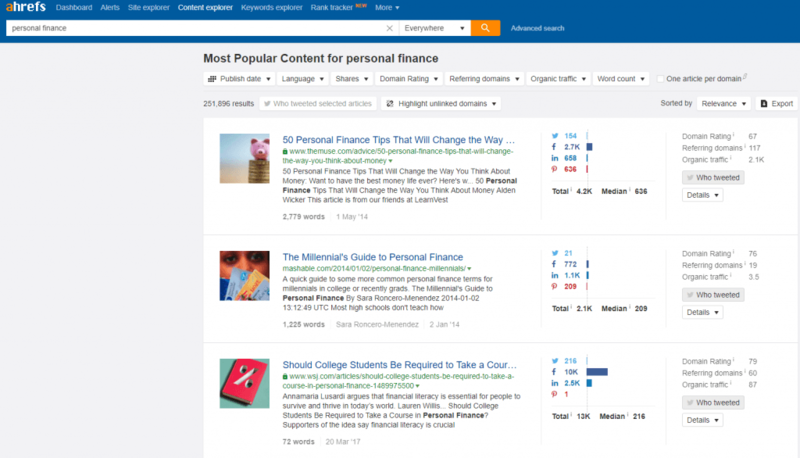 Use Ahref’s content explorer to find out which type of content works in your industry. Let’s say we’re targeting the personal finance niche. By digging deep into subreddits and Quora threads, we may discover additional topics we could potentially target. 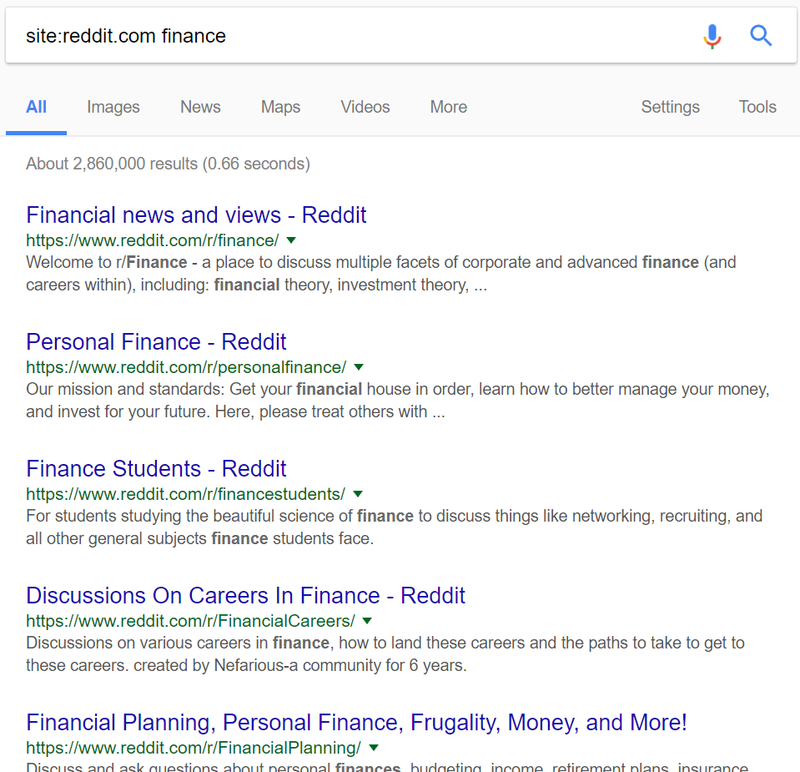 Just by running Google’s “Site” Operator, we already got great insights into relevant topics like budgeting, financial planning and frugality. Thses subtopics open up a lot of options when buidling our content plan. 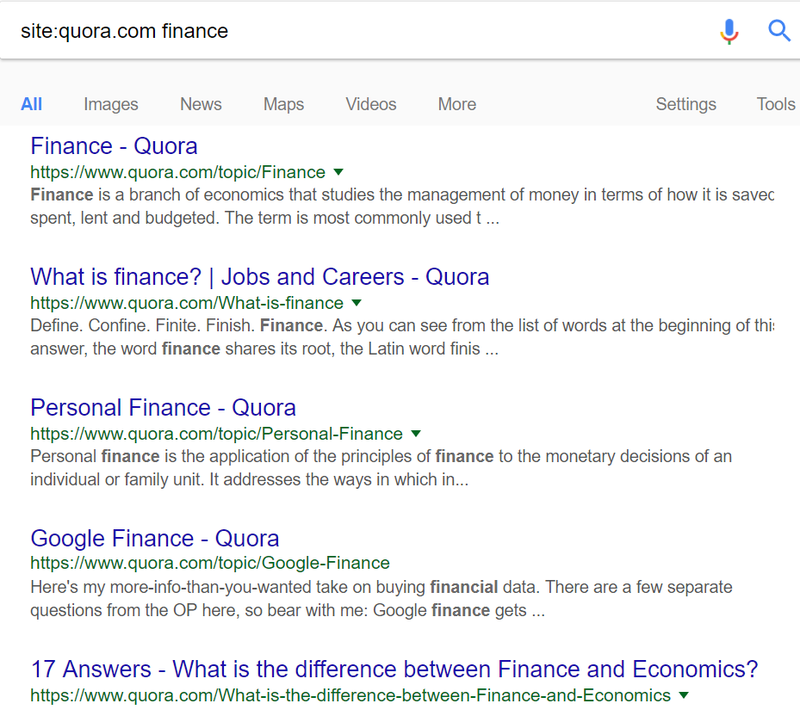 Use Reddit and Quora to find out what questions people are asking to get ideas for relevant keywords within your niche. I really like Quora as it’s super effective for drilling down into your content and uncovering interesting long tail keywords. How many paid ads are there? 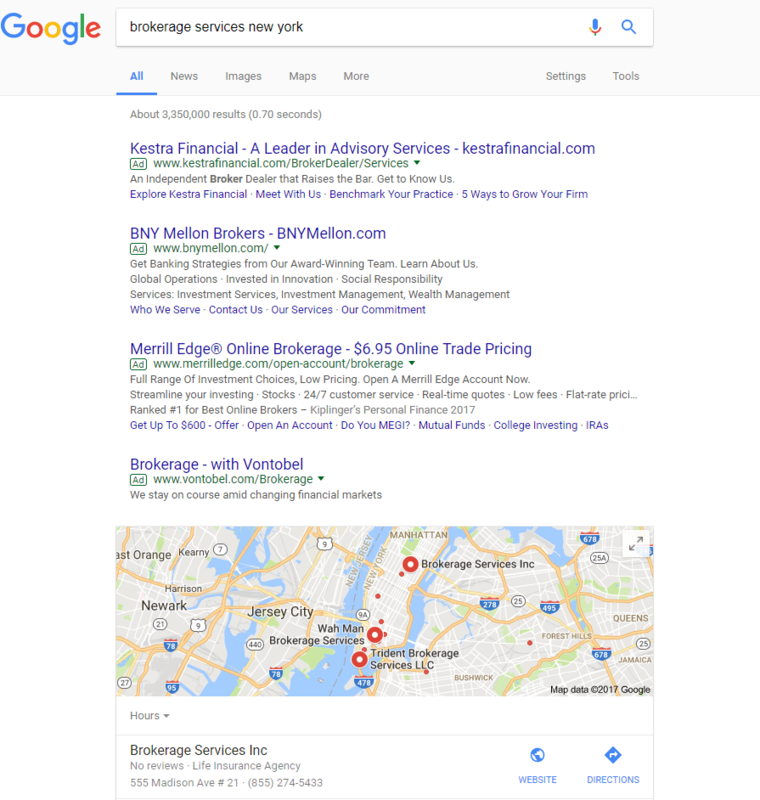 Are there Google map listings at the top of the SERP? *Wow, what a long journey until we reach the #1 organic result! Use these insights to prioritize the keywords you think you could realistically compete for. This is a crucial part of any SEO campaign. It’s very important to understand what kind of information users expect to get from the SERP and what search engines deem as most relevant according to those queries. By analyzing your competitors’ content using the above factors, you can get a good idea of what your SEO page template will look like. These verticals can change dramatically according to the search query we’re targeting. Some product/service pages should be short and to the point with minimal word count, while others could be informational guides which are rich in word count and visual content. As you can see, keyword research is a time-consuming process that should not be taken lightly. “Keywords are like a compass for your SEO campaigns” – without them, you are blind in a sea of content. Keyword research is a fundamental part of any SEO and content marketing strategy. I also recommend checking out this Keyword research guide from the guys at Firstsiteguide.com as an additional resource. For any questions about keyword research or SEO in general, or to let the experts do it for you, contact us!